Over the weekend, we had the opportunity to visit with some college friends. We have all experienced changes since graduating from college. We are older. We have kids. We have new jobs, responsibilities, and interests. Our kids came with us, so they had the opportunity to meet our college friends and to hang out with their kids. It’s fun to listen to the life updates and stories everyone has to share, and I enjoy jumping into the fray with my own stories. Saying goodbye always takes some time which isn’t the greatest thing for impatient kids. I was sharing a story with a couple of our friends right before we left which delayed our departure. When we finally got in the car, my son began to mock me by repeating my story almost word for word. I don’t remember is words exactly, but he said something about me droning on and on and on about something few people cared to hear. It’s funny how the tables turn. I seem to remember having the same response when my own father would drone on and on and on about this or that. My friends actually started calling my dad Cliff Claven, the postman from the popular sitcom, Cheers. Cliff was known for sharing a lot of details about a lot of trivial things. My dad seems to know a lot of things about a lot of things. I smile as I think about a video my high school friends all refer to where my dad was briefly caught on video walking past a door. As he walked by the door, he could be heard saying, “Do you remember the All In The Family episode?” My dad has always been able to relate some sort of pop culture tidbit with a conversation or experience. My dad is one of the smartest people I know. Seriously, he knows so much. His reading over the years and his ability to keep up with popular culture have helped to fill his mind with information. When you meet my dad, you will eventually be blessed with a story or information taken from the huge database of his brain. This trait used to drive me crazy as a teenager, but it has come to be something I greatly admire and respect. As our family drove away from our college friend get together, I listened to my son, and I smiled. Maybe, I am turning into my dad. But maybe this isn’t a bad thing. I wonder if he’ll have the same thoughts in 25 years when his kids give him a hard time about his stories. How are you like your parents? What is one characteristic of your mom or dad you’d like to have? What I mean, this post is all about how to respond when our words or actions are stupid. We all do stupid things. We do things we regret – things we’d like to take back. We have all said something dumb. Once we say it, we want to catch our words and stuff them back into our mouths. We’ve even done something really ugly. We’d like to go back in time and delete a scene from our life reel. But it’s not that easy. If you are a college basketball fan, you may have heard about the stupid words and actions of a Texas Tech fan and an Oklahoma State basketball star. If you missed it, Marcus Smart of Oklahoma State pushed a Texas Tech fan after words were exchanged between the two in the stands at a recent game. I’m pretty sure, they would both like to take back there words and actions. I don’t know all the details, but from what I’ve seen both Smart and the fan have responded pretty well since the initial incident of stupidity. So what can we learn from the Marcus Smart incident? Stupid happens. We all do and say dumb things. We let our emotions get the best of us. Stupid will happen to you again at some point. An apology is the best place to start. When you do or say something stupid, be an adult. An adult apologizes. If you offended someone, you need to apologize. Here’s the deal with apologies – your apology should be real, and it shouldn’t be full of excuses. One of the things I like about Marcus Smart’s apology speech is that he did not make excuses. He could have said, “I apologize, but he called me a ________.” Everything before the “but” is garbage. When you apologize, focus on your side of the mistake, and don’t focus on how you were offended. Take your punishment like a man. Before the punishment was even determined, Marcus Smart indicated he would accept whatever punishment the NCAA and Oklahoma State gave him. As it turns out, he was suspended for three games for his role in this incident. Your stupid action may not get the attention of the NCAA, but it probably has some consequences. Don’t complain about the consequences. Deal with it. Learn to laugh at yourself. Sometimes you just have to shake your head and chuckle at yourself for your stupid words and actions. Taking yourself a little less serious is a great way to get through your personal stupidity. Learn from your stupidity. If you said something or did something stupid, try not to do it again. You should have learned your lesson the first time. Only time will tell if Marcus Smart and the Texas Tech fan learned their lesson. Hopefully, they did! How do you respond to your own stupidity? What additional tips to you have for others who have said or done something stupid? We all have junk in the trunk. We all have baggage from our past. This baggage weighs us down. It influences our decisions and interactions moving forward. Over the weekend, Leanne and I visited the Walnut Street Theater in Philadelphia, PA. Right now, they are featuring Other Desert Cities, a play written by Jon Robin Baitz. The play tells the story of the Wyeth family (a daughter, a son, a mom, a dad, and an aunt) as they deal with junk in their trunk. I really did not have any expectations as I went to the play. Other Desert Cities was simply the third show in the five show season we are currently enjoying as subscribers to the Walnut Street Theater, and I was looking forward to a night out with my wife. The play left me thinking quite a bit. The daughter in the play (Brooke Wyeth) comes home to Palm Springs, CA to spend Christmas with her family. She brings a couple of copies of the manuscript for a book she is getting ready to publish about her family. The manuscript reveals some dark details about her brother and his death. It exposes some deep, dark secrets her politically connected parents would rather keep quiet. The play which takes place in the living room of the Wyeth home is the dialogue which happens around Brooke’s manuscript. The parents don’t want it published. And we find out there is more to this story than initially meets the eye. Many aspects of this play hit a little too close to home. Other Desert Cities reminded me there is more to the story than meets the eye. We are all coming at life from a slightly different angle. We have baggage. We have experienced things differently than those around us. We react differently because of different life experiences. Before we jump to conclusions, it’s important to listen to the stories of others. Sharing our junk with other people takes courage, wisdom, and trust. We need courage to expose ourselves. We need wisdom to know how much to share and with whom to share it. And we need to trust those who hear about our junk will respond appropriately. There is power in sharing our junk to help others. The play reminded me how common my junk is. When people share their junk, they give others a sense of belonging, and they provide a sense of hope. By sharing your junk, you have the opportunity to give someone hope and a new perspective. There is freedom which comes from sharing our junk. When we share our junk, we are no longer carrying it by ourselves. There are others to help us along the way. This can provide tremendous freedom. One word of advice here…not all junk should be shared openly. Confidential counseling is a great place to release some of your junk. A few years ago when I was going through a tough time, I sought out the confidence of a paid, professional counselor. This was really helpful in helping me process what I was experiencing. I’m not sure what junk is in your trunk. But I would encourage you to share it with someone. How have you dealt with the junk in your trunk? How has it helped you and others to share your junk? When was the last time you took an art class? When was the last time you were in an art room (besides at meet the teacher night for your kids)? When was the last time you created something beautiful? When we become adults, we often put things aside. We now have responsibilities. We have “important” things to accomplish. We don’t have time to play. We have to work. We have to make money. We have to provide. When we grow up, we leave the art room, and we stop creating beautiful things. In Life After Art: What You Forgot About Life and Faith Since You Left the Art Room , Matt Appling challenges readers to become artist’s again. Matt, who is an art teacher in Missouri, takes readers back into the elementary school art room. He reminds us how creative we once were when we were young. From here, Matt goes on to describe how society is suffering from an epidemic of lost creativity. He then takes readers through the process of relearning to create, to take risks, and to be artists again. I appreciated the perspective Matt brings to this book. An an engineer and operations manager for the past 20 years, I recognize the tendency to fall into a state of complacency. I do the same things day after day. It becomes easy to stop thinking and to stop creating things of beauty. Personally, my writing has become a place for me to create again. I may never be the next Monet or Van Gogh. I may never become the next C.S. Lewis or J.R.R. Tolkien. But I can create something beautiful. Thanks for the reminder, Matt! 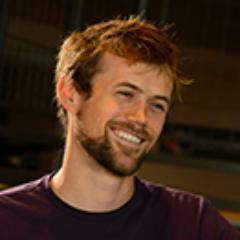 To learn more about Matt, check out his blog or follow him on Twitter. This month, I’m giving away a copy of Life After Art: What You Forgot About Life and Faith Since You Left the Art Room to someone in the Stretched Community. To be considered for the giveaway, you must be one of the top 10 commenters during the month of February. If you don’t want to wait for the winner to be announced, feel free to pickup a copy of the book by clicking here. What is the last thing you created? What was your favorite thing about elementary school art class? I’ve been logging running mileage again, and it feels great. Most of my miles these days are happening on the treadmill at the gym thanks to the cold weather and early morning darkness that blankets our area at this time of the year. The other day, I was up early running a quick 4.5 miles at our local YMCA. I had the treadmill ramped up to 7.8 miles per hour (which for me is a pretty decent pace). While I’m on the treadmill, I listen to podcasts and glance up at the televisions to see the latest sports highlights and news updates. About a mile into my run as I was lost in my own world, the treadmill suddenly stopped. Imagine driving your car at 65 miles an hour and it suddenly stops completely. Or imagine riding your bicycle at 15 miles an hour when someone jams a stick in your spokes. This is how it felt when the treadmill stopped for me. I somehow managed to catch myself before a complete catastrophe occurred. The guy running next to me commented, “Wow! Nice catch.” I tried to get the treadmill back up and running, but it wouldn’t power up and restart. I switched treadmills and continued my workout. Sometimes life is like this. We are coasting along when something happens in our lives that brings things to a screeching halt. It’s happened in my life a few times – like the time I crashed my car two weeks before my wedding, like when my wife was rushed to the hospital shortly after our son was born, and like the moment I learned that my grandfather had passed away six years ago. I certainly don’t have all the answers, but I’ve learned a few things through life events like these. Hang on. Sometimes this is all we can do. When we don’t understand, when we don’t know the plan, we can trust God and hang on to His hand. I remember asking during these times, “Why?” Even in the toughest moments, we must remember that He will never leave us. Trust God. In times like this, I’ve gone back to Proverbs 3:5-6 as a promise that God will make my paths straight even when life doesn’t make sense. Lean into family and friends. I can’t tell you how much family and friends have meant to our family when life’s train seems to have derailed. It helps to know that someone is praying for me, is willing to talk or listen as I wrestle through the challenges of life, and is willing to be there when I can’t fully focus on my daily needs. If you’re missing this in your own life, I’d encourage and challenge you to seek out this kind of friendship. Our church small group experience has provided many of these types of friendships. Consider a change. Sometimes a life stopping experience can be the catalyst to positive change in our lives. This week, I switched treadmills. Maybe these experiences are a call to change direction. Learn and grow. Life halting experiences can be life altering experiences if we take time to learn and grow. This is why I recommend a journal or even a blog as a way to record life’s happenings. I have learned so much through the major speed bumps of life and the blog and my journal have become great places to record and process these experiences. I returned to the gym this morning to run more on the treadmill. I’m sure I was a bit more cautious, but I’m ready to keep going. I’m thankful for the reminder that a simple treadmill experience can provide. I have no idea what the rest of the day holds, but I look ahead with confidence knowing that it will be okay no matter what transpires. What have you learned from a life stopping experience? What other tips do you have for handling these kinds of times? Parenting is an important focus for my wife and me. We want to raise our kids well. We want to protect them, and we want to give them their independence as they get older. Today, we look back at the third most popular post written in 2013. If you are a parent or plan to be a parent, I think this post will STRETCH you. Check it out, and let me know what you think…. We’re approaching a parenting milestone later this year. Our daughter, Hannah, will be able to get her driver’s permit towards the end of the calendar year. It’s a bit scary to imagine our little girl behind the wheel of a car. The teenage years can be pretty challenging. Kids in the age group are faced with pressures from peers like never before. They are faced with a world full of media that points people away from God and toward themselves and stars who are undeserving of such adoration. As parents, we play a huge role in creating a hedge for our children. It can be such a tough thing to do – to create realistic and appropriate boundaries while fostering independence and responsible decision-making. We want the best for our kids. We want them to experience things that we never experienced, and we want them to have the things we never had. In the pursuit of providing the best for our kids, we can overlook the ultimate purpose in our parenting – to point our kids towards God, His Son, and His Word. Learn that ‘no’ doesn’t have to be a negative word. Parents these days are bent on becoming their kid’s best friend. We are scared that saying no to our kids will somehow damage them. 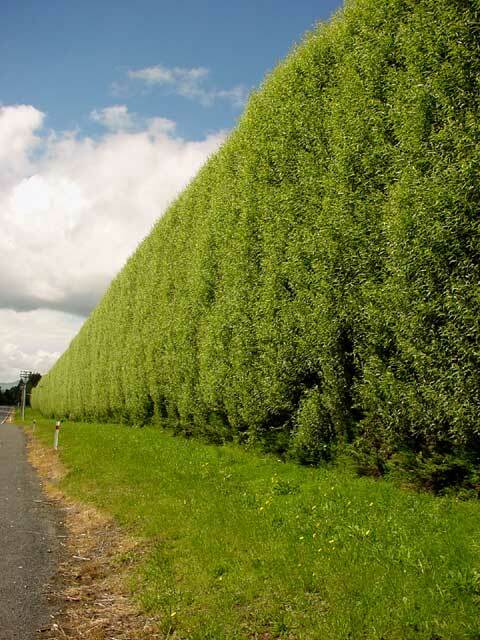 Saying no is part of creating a hedge. Lean into the tough conversations. I learned this week that the best conversations can sometimes be the toughest conversations. Talking about tough things provides an opportunity to help your teenager process and establish their world view. These conversations help our kids navigate and discover the truth. Find the strategic opportunities to demonstrate trust. At some point, our kids will be on their own. We will release our kids like an arrow leaving a bow-string. If we aim them towards the Target, we need to trust that the arrow will fly straight. Spreading their wings doesn’t have to be an all at once thing. It works best as baby steps. Be a constant student of parenting. Find parents who have gone on before you. Learn from their experiences. Seek out resources that will teach you how to be a parent who honors God. Balance truth and grace. Our kids will make plenty of mistakes (just like we did). We must teach them truth, and show them grace. We must show them love. Love speaks truth, and love shows grace. Are you a parent? How do you protect your kids? What did your parents do to point you towards God, His Son, and His Word? What is a small group? To those outside the church world, a small group might be defined as a tiny grouping of something – a small group of rocks, a small group of kids, or a small group of something else in common. Inside the church world, a small group is kind of like a mini-church. A small group is a way to make a church small and intimate. I grew up surrounded by small groups. My parents were part of small groups for as long as I can remember. They hosted small group at our house sometimes, and I can remember sneaking out to the dining room to grab some of the delicious snacks set out for their friends. As I grew older, I started to understand the importance of small groups in my own journey. In college, I was part of a couple small groups that challenged my faith and pushed me to grow in different areas of my spiritual life. Since getting married, my wife and I have led and participated in all kinds of small groups. As a result of these groups, I have seen connection and life change. This week, I’m excited to announce the launch of a new book by Ben Reed. In Starting Small: The Ultimate Small Group Blueprint , Ben shares some practical advice for taking small group ministry at your church to the next level. Whether you are just starting a small group ministry at your church or trying to figure out a way to get new people plugged into small groups at your church, Starting Small will give you some ideas for moving forward. Having been part of small group leadership at my church, I can vouch for the content of this book. It’s practical. It’s inspiring. And it’s helpful. Starting Small will get you thinking about what you can do next to build your small group ministry. It will refocus you on the purpose of small groups in your church. And it will inspire you to do something new today with your small group ministry. I’m a big believer in the power of small groups to connect people to each other and to God, and I believe Starting Small can help you towards this goal. For this reason, I recommend Starting Small to small group champions, leaders, and pastors who are interested in taking their small group ministry to the next level. Does your church have small groups? Are you in a small group? How have small groups impacted your life? 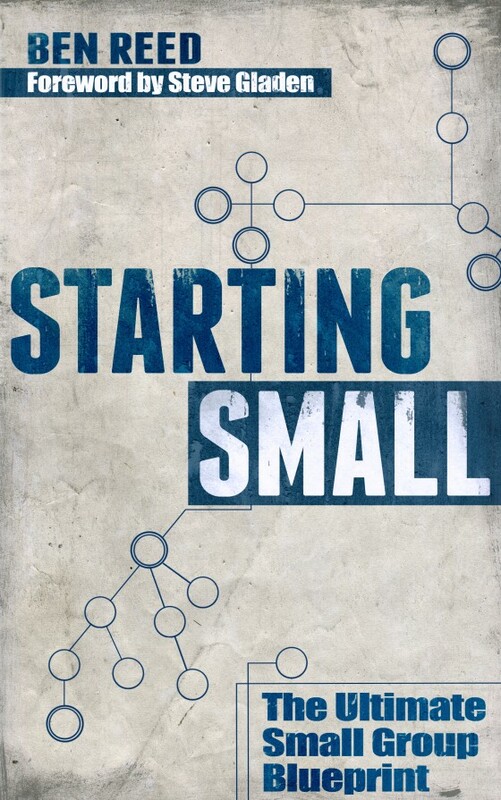 Please note: I received a copy of Starting Small for free in exchange for an honest review. I was not required to like or recommend this book. My recommendation is based on my belief in the power of small groups and in the ability of this book to help people find connection through small groups. Ben Reed speaks from an experience I can relate, and I find his book helpful in your own small group discovery and journey. Also note: There are affiliate links in this post. If you purchase a copy of Starting Small as a result of clicking on one of these links, I receive a small “commission”. Any “commission” received will be used to support The Stretched Blog and to support continued ministry in Guatemala. Thank you! Don’t forget to sign up for the weekly Stretched newsletter. Check out this post to find out how to sign up. Each year around this time, I work with my employees to establish performance targets for the coming year. It can be a little challenging to fit everything in before the end of the calendar year. 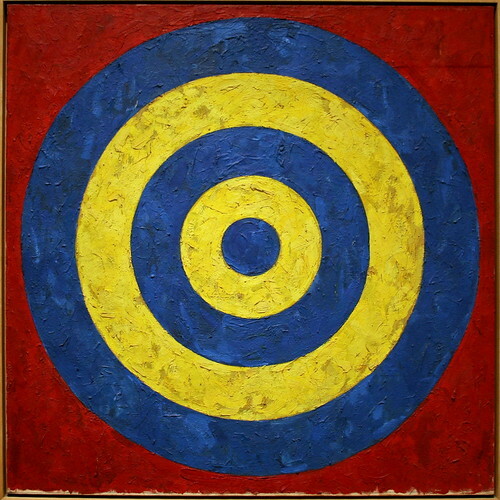 But target setting is vital to business success and individual performance. Individual performance goals give employees a target. An employee can go about every day business without written goals, but they shouldn’t expect growth without targets. If employees don’t have written targets, they will hit them every time. Written targets help provide employees with a clear plan for how to succeed. Targets work best when they are SMART (specific, measurable, attainable, realistic, and time related). Individual performance goals help employees contribute to overall business success. Individual targets should be written in alignment with overall business objectives. For example, if achieving a specific sales order intake is a business objective, individual sales people should have targets that contribute to the overall order intake goal. Individual performance goals provide a fair method for comparing team member performance. For example, I have 8 project managers working for me. They have similar targets based on their responsibilities as project managers. Because their targets are similar, I can evaluate their year-end performance more fairly. Since their targets are SMART, they are measurable. It becomes easier to measure one’s performance against another’s performance when performance targets have been developed at the beginning of the year. Individual performance goals take the surprise out of end of year performance ratings. I sit with my team members at least once a quarter to go over their performance on their individual targets. By doing this regularly, they have opportunities throughout the year to address performance short falls. By the end of the year, there is little surprise when the results are revealed for overall performance. Individual performance goals provide an employee to communicate career aspirations to their manager. As leaders, we should be asking our employees about their career objectives on a regular basis. And we should work with our employees to craft unique goals which will help them prepare for meeting these objectives. In some cases, this may mean some honest feedback – just because Jack wants to be president of the company someday does not mean he will meet this target. Still, we can point our employees in the right direction. We have a responsibility to help our team members succeed. This should be a fun month as I work with each of my team members in setting their individual performance targets. What other reasons can you provide for setting individual performance targets? How have performance targets helped you as an employee or as a team leader? 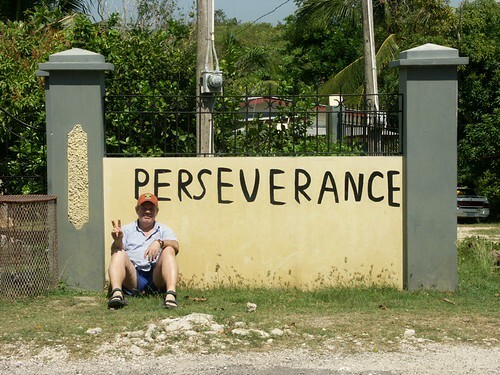 When you think of perseverance, what or who comes to mind? I think of a marathon runner who trains for months suffering through weather and injury and then runs 26.2 miles to the finish of a race. This takes perseverance. I think of a doctor who studies for years and years learning everything possible for the opportunity to treat people medically. This takes lots of perseverance. I think of a couple who want to be parents but struggle through the pains of infertility – maybe using in vitro fertilization or maybe adopting. They pour all their energy, time, and money into becoming parents. This takes perseverance. I think of a cancer patient who deals with the ups and downs of chemotherapy and radiation meanwhile hanging onto a thread of hope for another year, another month, another day. This takes perseverance. In each of these cases, perseverance is only achieved when someone decides to endure the trial they face. They may consider giving in, but there is something that keeps them pushing – something causes them to fight – something reminds them to persist. They keep going even when it’s hard, when hope seems dim, and when many would rather give up. I don’t know what kind of trial you are going through. I don’t know what trial you have yet to endure. But there’s something we each need to know about the trials we face. In the first chapter of his letter found in the New Testament, James talks about the importance of trials in bringing us to completeness and maturity. Did you catch that? James says we should consider it pure joy when we face trials. I don’t know about you, but this is tough for me. I remember going through a pretty challenging time a few years ago. I was facing a very tough challenge at work; meanwhile, my wife was struggling through significant health issues. It was not a time of joy for me. I was lonely. I was distraught. And I was hanging onto a thin thread of hope as it felt like the world was collapsing in around me. It’s funny now. I honestly didn’t even think about this passage from James which I had read many times before. Yet I was supposed to find joy in the midst of trials. I can look back now and see God’s hand in my life despite the challenges I faced. I can see how God used these trials to produce perseverance in my life. And I can see how these trials led to a deeper maturity. God is good. James goes on to share how blessing follows those who persevere through trials. Like I said before, I don’t know what trials you may be going through. But I would encourage you to hang in there. Look to God for your strength and hope. And know that God can work through the junk you are dealing with today. How has God blessed you through trials? What keeps you going when life gets you down? Also don’t forget to sign up for the weekly Stretched newsletter. Check out this post to find out how to sign up. Today, it’s my honor to share guest blogger and fellow Phillies fan, Thomas Mark Zuniga (TMZ). TMZ is an aspiring author with a story worth sharing. He has just finished his first book, Struggle Central, which will be available on Amazon shortly. Until then, you can get a copy of his book for free for a limited time by signing up for his newsletter (click here). You can also follow TMZ on Twitter and Facebook. Over the last couple years, I’ve endured some especially stretching moments: one vulnerable summer camp position in Milwaukee, another more exposing camp in North Carolina, and not one but two cross-country moves from Georgia to California on either side of those stretching summer camp romps. That second cross-country trek stretched me even more than the first. After completing the most impossible summer of my life in North Carolina, I returned to my parents’ home in Georgia. The previous year in California, I’d experienced my greatest year of growth: finding an amazing church, plugging into my first life group, and even getting baptized by said life group. Stuck in the South, I knew I had to drive back West. But how? My old roommates were gone. My savings were scant, at best. How could I drive 2,500 miles with nowhere to live, nowhere to work, and nothing saved up? I put off the inevitable for weeks. Two, four, six weeks passed as I grew increasingly sickened by my “backslide” into the way things used to be: living under my parents’ roof with no job, no church, no community, no sense of purpose whatsoever. Eventually, I couldn’t take it. Leaving for California two years earlier was so much easier. After graduating college, I was beyond ready for the open waters of a new existence. Had a housing situation with friends already secured across the country with much saved from a lucrative summer job. But this time was harder. The unknowns weightier, the waves far more perilous. I drove off my parents’ driveway the second time with saltier tears and a heavier heart from the first. With so much stretching and growth in the two years separating these momentous drives, why was this second move so much more difficult than the first? Had I even grown at all? After completing my drive across the country, I was inundated with struggle: an isolating living situation in the boondocks of an old married couple’s house, no work, and a car that died from thousands of wearied miles. Additionally, I struggled to reconnect with my life group filled with old and new faces alike. It was the same amazing group who’d baptized me six months prior, and yet it wasn’t. I had changed, just as they had. And now we needed to start over and change together again. The changing process would take months. I’ve since learned that despite two momentous years of growth, capped by a summer camp that could have very well ended a triumphant feel-good movie, the process has really only just begun – my stretching and growing, still in its infantile stages. Because growing is unending. And though struggles remain, redemption awaits. I’ve recently broken ground on a project four years in the making: my first book. Since college, I’ve felt called to write, and this book in particular has long filled me with thrilling fear: a book of “messy memoirs” charting my struggles and the ensuing redemption of the last quarter-century. Looking back on my quarter-life, I see the growth. See it so clearly. But I often wonder when the stretching will end. When will I be fully grown? A fully developed Mr. Miyagi or Gandalf with every arduous lesson learned, now able to impact any and all passersby? At 26, I’m still very much learning the breadth and depth of this journey. Learning that this pursuit in stretching and growing is never done. That nobody this side of the grave has truly “arrived,” and the ones who impact most are the ones who realize this best. Truly, deeply know it. I hope I come to know it, too. Know that despite the certain growth from a quarter-century on this planet, there’s more to the mountain than this. When have you had to leap into the unknown? How was it difficult, and how did it affirm your growth? Have you ever felt like you’ve stretched or grown “enough” only to be shown otherwise?